Summer is a season of sun, outdoor fun, friends, family, and food! It can also be a time of bites or stings from bees and other insects, as well as spiders, scorpions, and sometimes snakes. Bites and stings quickly put a damper on one’s enjoyment of the day. I don’t like being stung myself. But as a parent, it can be quite traumatic dealing with a child’s pain, discomfort, and suffering. As my wife Stefanie says about our son Olin, he has been stung by bees more often in his four years than she has in her entire life. And he’s had his share of ant bites, too. Our garden usually has some ant and bee activity, and he is often in the garden among the flowers and insects. So, naturally we try to use the most effective, natural solutions to bites and stings. The good news is that we know what do when stings or bites occur. In fact, how we handle them may surprise you. Gone are the days when we worry too much about the pain, swelling, and other harmful effects of stings from bees and other insects, spiders, scorpions, and even snakes. This information can benefit you, too. We know what works. The key is being prepared to act quickly after a bite or sting occurs. Assemble the few items you will need to treat stings and bites. I suggest keeping all essential items (see list below) in an easily accessible place, so they are available when stings or bites happen. Better yet, make a kit and you can take it with you when you’re traveling or in the outdoors. You can also keep it in your car, or in a handy place where you can access it quickly when needed. 1) POULTICE POWDER (use Intestinal Rejuvenation Formula) (or to make your own, see below), gauze or cloth strips, plastic wrap, tape, and distilled water to prepare poultice. 2) ECHINACEA TINCTURE. Use a high-quality product like Super Echinacea, or make your own). 3) VITAMIN C (preferably buffered form in capsules like PRO-C™ or tablets like Buffered C 1,000 Tabs. Ideally, the kit will contain an entire bottle of Vitamin C.
4) HOMEOPATHIC REMEDIES. Keep two or three 30C homeopathic pellet formulas (in tubes), especially Ledum palustre, Apis mellifica, Arnica montana, Arnicare® Trauma Pellets, and others. I prefer the Boiron® brand. 5) ADDITIONAL ITEMS (not necessarily in your kit): Warrior Mist™, foundational supplements, magnesium (oral and/or transdermal form), Immune-Assist™ Daily Formula, etc. The first thing to do is put some liquid echinacea tincture directly onto the sting or bite. Rub at least three or four dropperfuls into the affected area as quickly as possible. Be sure to give at least two or three dropperfuls of echinacea directly into the mouth of the person. If an alcohol tincture is too strong for a child, then put it in a few ounces of water. For snake bites, give correspondingly more tincture. The immediate effect of echinacea tincture is to neutralize the effects of the proteins and enzymes within venom. Another effect is to boost the immune system. I typically make my own echinacea tincture, but also recommend a few brands known for their effectiveness. These include include Herb Pharm’s Super Echinacea and American Botanical Pharmacy’s Echinacea Plus. These tinctures are readily available at health food stores, cost effective, and easy to store or keep in your kit. You can use homegrown echinacea, or get the dried herb from Pacific Botanicals. Use fresh or dried echinacea root (root powder or whole root). You can also use other parts of plant (e.g., seeds). Cut the herb into pieces (if not already powdered). Put the herb into a blender, add 80 proof alcohol (vodka, brandy, etc.) and mix. Pour the mixture from the blender into a mason jar and add more alcohol so that the herb is covered (one to two inches above the plant material). Shake daily for at least two weeks (preferably a month or longer for greater strength) and then filter into a large bowl using cotton cloth or cheesecloth. Pour the filtered tincture into mason jar and then transfer into dropper bottles, as needed. You may find it helpful to use a small ladel and a funnel to transfer from the mason jar to dropper bottles. Clearly label your mason jar and dropper bottles, so you know what it is, and so you don’t accidentally drink it thinking it’s apple cider vinegar (it happens!). Then put a dropper bottle or two of your labeled echinacea into your kit(s). As I previously noted, regardless of whether you make your own tincture or buy it online or in a store, it’s a good idea not just to have it at home, but also to have it ready to go on trips. So, either bring your kit when you go out (e.g., hiking, camping, etc.) or make another kit to keep in your car for trips. Echinacea is a perennial flowering herb endemic to north America, and is often referred to as ‘purple coneflower’ although its various species exhibit other colors. The primary medicinal species are E. purpurea, E. angustifolia, and E. pallida, so look for these in tinctures or seeds (if you plan to grow your own). It is a known immunomodulator and immunostimulator, stimulating the body’s non-specific immune system to help fight infections. It was historically used medicinally by Native Americans (and especially tribes (i.e., Kiowa, Lakotah, Pawnee, Cheyenne) living on the Great Plains) who introduced it to European settlers. It was used in the 19th and early 20th centuries as an antimicrobial, but also documented for use for snakebite and pain relief. 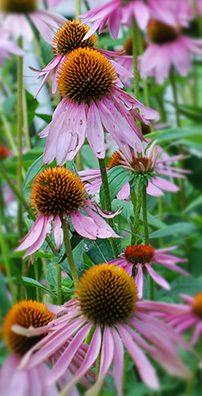 Echinacea is reported to have been the original 19th-century “snake oil” used by traveling entertainers as a remedy for intentional snake bites where it was used to miraculously ‘cure’ the bite recipient in front of an audience. I can’t verify the accuracy of these reports. However, if there is a single, natural remedy that could rapidly deactivate snake venom, then echinacea probably would be it. Echinacea certainly offers special properties when it comes to neutralizing various types of venom. Yet, I wouldn’t be without a drawing poultice in the event of snake bite, for example, in order to draw out the venom, even as it is being neutralized by echinacea. So read on. The next thing to do is to make a wet drawing poultice from pre-prepared poultice mix. The purpose is to draw out the venom (or poisons) from the bite or sting. A drawing poultice is highly effective topical, herbal treatment for pulling out toxins of all sorts. A very good prepared poultice powder mix is HPDI’s Intestinal Rejuvenation Formula, which contains all the ingredients needed to make a poutice directly from the container. An added advantage of our unique formula is that you can also use it internally to gently cleanse your digestive tract (e.g., ideal for use on a summer juice fast). In fact, it was primarily designed as an intestinal cleansing formula. But it performs superbly as a poultice, too. You can also make your own poultice powder mix. Prepare a basic poultice powder using a combination that is two parts slippery elm bark powder (e.g., 2 tablespoons) and one part (e.g., 1 tablespoon) each of activated charcoal, bentonite clay, and apple pectin. Mix the herbs in a large bowl and then store in a mason jar for future use. (You can get these herbs from your local herb shop, or order them from Pacific Botanicals (541-479-7777) or Blessed Herbs (774-298-0966). Make the actual drawing poultice you will use on a bite or sting by mixing a few teaspoons (or more) of the pre-prepared poultice mix (i.e., Intestinal Rejuvenation Formula or your own formula) with some water in a pyrex cup or small bowl. Add water slowly (i.e., don’t add too much) and then stir with a spoon or chopstick until it has a somewhat thick consistency, basically a paste. Spread a thin layer of the wet poultice “paste” directly onto skin (i.e., sting or bite) and surrounding area (including swollen areas). The layer shouldn’t be too thin. In fact, more is generally better, as long as it isn’t clumping, drying, or falling off. Try to spread the paste evenly. Cover the poultice with a thin layer of gauze and wrap it with plastic wrap, which you can tape in place. If you don’t have gauze or think cotton cloth (think T-shirt material), then you can just wrap it with plastic wrap and tape it down. The purpose of the gauze and plastic wrap not only is to hold the poultice in place, but also to keep the poultice moist. By keeping it moist, you allow the poultice to continue drawing venom from the bite. If it dries out completely, you will have to remove it entirely and start again (as sometimes happens overnight). if the poultice is just beginning to dry out (and is still flexible or slightly ‘rubbery’), you can often just add water directly to it without having to remove it). You can leave a poultice on the skin for six (or more) hours before you remove it and apply a fresh one, which you can do as often as necessary. It may be helpful to apply a cold pack over the poultice to prevent venom or toxins from spreading. If you act rapidly enough, you will find that just by using echinacea and applying the drawing poultice on the bite or sting will in most cases cause the pain and swelling to stop within 15–30 minutes (or less) depending on its severity. However, the longer the time between the sting/bite and the start of these measures means a longer time before the pain and swelling disappear (e.g., possibly up to 24 hours or more). Also, even if the pain and swelling disappear quickly, it can still be important to apply fresh poultices and continue taking echinacea (e.g., by mouth every 20–30 minutes) because the venom may not be completely drawn from the site. Immediately give at least 1–3 grams of vitamin C. I suggest a buffered form, such as PRO-C™ or Buffered C 1,000 Tabs. Vitamin C will immediately protect the body from free-radical damage, reduce inflammation and limit histamine release, and boost the immune system. Children can take 0.5 to 1 gram immediately. Give more vitamin C depending on the severity of the sting or bite. For a bee sting, you can give another gram every 20–30 minutes. For a snake bite, much larger doses (5–10 grams or more) may be needed and given repeatedly over a longer period of time. It is also important to take or give homeopathic remedies after a sting or bite. Some of the most useful homeopathic remedies include Ledum palustre, Apis mellifica, Hypericum, Urtica urens. The 30C strength is ideal for this purpose, but other potencies work well, too. Start with 4–5 pellets and repeat every 15 minutes for up to four doses, or as directed on the label. You can purchase individual tubes of about 80 pellets (I prefer the Boiron® brand) at your local health food store, Whole Foods Market, or even Amazon.com. Shop around. Sometimes you can find deals on multi-tube packages. These (below) are the three remedies I use most. In fact, for a bee sting I will usually give all three remedies within about 5–10 minutes of each other, and follow with repeat doses, as needed. Ledum palustre 30C – works well for stings, pain, as well as itching related to insect bites. Apis mellifica 30C – works for pain, swelling, and inflammation specifically due to stings from bees, wasps, hornets, etc. Arnica montana 30C – works for pain, swelling, bruising, and inflammation related to trauma. I also like the Boiron Arnicare® Trauma Pellets, a blended formula which includes Arnica montana 9C, Ledum palustre 5C, and Bellis perennis 5C. It works effectively for major bumps, bruises, and swelling. Use it as an all-purpose bite, sting, and trauma formula. I include these additional measure because they can be helpful, even critically important at times, depending on the individual or situation. However, I would not necessarily rate them as immediately necessary as the four measures above. In fact, except for possibly Warrior Mist™, these items won’t likely be included in your emergency kit. Instead, you will likely keep them in your kitchen or wherever you store your supplements. Warrior Mist™ is a topical, transdermal pain relief formula that Dr. Hank Liers designed to stop pain in sixty seconds (or less!). This is a very serious natural pain killing formula that works well on all major sources of pain like the pain of bee and wasp stings. Of course, it also works nicely on lesser pains like mosquito and fly bites. In fact, whether or not you have your emergency kit available, if you have Warrior Mist™, then by all means use it, if only to stop pain fast. Although Warrior Mist™ is exceedingly effective for stopping pain, it is not a substitute for echinacea (to neutralize venom) and a poultice (to draw out venom) when a bite or sting is severe. For example, if you are dealing with a rattlesnake bite, you will obviously want to use echinacea and apply a poultice first, and then consider applying Warrior Mist™. Other benefits of keeping Warrior Mist™ in your kit include the fact that you can use it for all types of pain. And so you will find uses for it whether or not you need it for bites and stings. It works well for everything from bumps and bruises to the pain of fibromyalgia, joint pains, neck and shoulder pain, and all types of chronic pain. It also effectively reduces the size of scars by dissolving keloids. Supplements I regard as foundational (or what I sometimes refer to as essential or ‘core’) include a multivitamin, essential fats, vitamin C, and a Rejuvenate!™ superfood. These are daily supplements recommended for everyone for basic health. Taking a multivitamin, essential fats, vitamin C, and superfoods on a daily basis is important for health. We at HPDI always recommend that everyone take these supplement daily. This is because these are essential nutrients for supporting basic health and life itself. 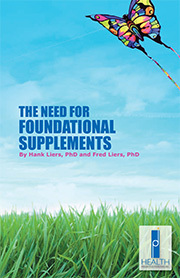 Later, you can add specific supplement formulas for their unique needs (e.g., Joint Health Formula, Allergy Support Plus, Eye & Vision Formula, etc.). Indeed, the best health is created when you appropriately combine foundational formulas with the specific-condition formulas that fit your individual needs. So, if you first establish a condition of basic health for yourself, in part by taking foundational supplements daily, then your body will always be better prepared for a sting or a bite because your nutritional status will be good. The corollary is that your body’s response to a sting may be vastly worse if your nutritional status is compromised. Oral magnesium supplementation has limits for how rapidly it can raise magnesium levels in the body. For this reason, transdermal magnesium therapy with pure magnesium chloride in the form of Ancient Minerals magnesium oil or magnesium flakes is quickly becoming a preferred method of delivery. This is because the body can absorb large quantities through the skin (i.e., applied directly or in baths or footbaths). In contrast, the body can only absorb limited amounts orally within a given time frame, and this can be problematic during times of severe deficiency. In other words, transdermal delivery can safely and effectively raise magnesium levels and basically saturate the body with magnesium. A major advantage of transdermal magnesium products like Ancient Minerals magnesium oil is that you can spray it directly on a bite. Magnesium oil is anti-inflammatory, speeds healing, supports healthy skin, and naturally repels bugs like mosquitoes. In fact, I rub it on during the summer and it prevents bites from mosquitoes, gnats, and biting flies. It must taste terrible to bugs! Plus, unlike commercial insect repellents, it contains no toxic ingredients (and is actually a detoxifier! 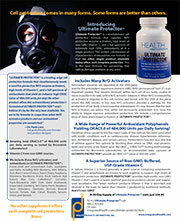 ), produces no side effects, and has no chemical odors! You won’t see us advertise magnesium oil as an insect repellent, but it’s really the one I like best! For these reasons, we recommend both oral and transdermal modes of delivery. Oral magnesium delivery (e.g., Myo-Mag) primarily works as a maintenance dose after body magnesium levels are high. Transdermal magnesium is best used when the body needs maximal amounts of magnesium quickly, or for external uses (trauma, bruises, muscle injuries, aches and pains, etc.). It is also an ideal form for athletes or anyone who sweats frequently or profusely because perspiration carries magnesium out of the body. Immune-Assist™ Daily Formula is an potent immune-enhancing medicinal mushroom supplement. It provides immunity enhancing polysaccharides (more than 200 different polysaccharides) derived from the enzymatic breakdown of complex organic plant material from six different species of medicinal mushrooms. The six types of medicinal mushrooms are Agaricus blazei, Cordyceps sinensis hybrid, Lentinula edodes (shiitake), Grifola frondosa (maitake), Ganoderma lucidum (Reishi), and Coriolus versicolor. Immune-Assist™ provides 500 mg of mushroom complex per vegetarian capsule and uses only USDA-certified organic materials. We recommend Immune-Assist™ because it effectively boosts the immune system and therefore the body’s ability to defend itself. We like this formula, but there are other good mushroom complex formulas available. You can expect the items in your kit to do a great job remedying the problem of stings and bites. Again, the effectiveness of the kit depends on how quickly you act, the severity of the sting/bite, the nutritional status of the person affected (as well as their individual degree of sensitivity to stings/bites), and other factors. But overall, it will work remarkably well, and you will be very glad you took the time to assemble your kit. I have treated numerous bee stings on myself and others over the years with the protocol described above. It always works in my experience. Again, the key is speed. Get echinacea tincture onto the sting site as rapidly as possible, then make your poultice and apply it. Then you can take Vitamin C and homeopathic remedies. For individuals who are hypersensitive to bee venom (or any other type of venom) and are concerned about anaphylaxis, I suggest doing what you need to do to make sure that doesn’t happen. However, you can still apply the protocol to good effect and heal faster than if you didn’t use it. That is, there is no reason I am aware of that you can’t use this protocol, whether or not you feel you must take medication to counter a severe allergic reaction. Also, if the protocol I present here appears too complex or difficult to use, trust me, it’s not! Even if all you do is take echinacea and apply a poultice to the affected area, you will have accomplished 90% of what needs to be done! And if you’re not into making your own herbal formulas, then just purchase echinacea tincture (like Super Echinacea) and Intestinal Rejuvenation Formula. Those are the most essential elements of the kit. Not-so-random fact: I was attacked and bitten this week by small fire ants (ironically during the course of writing this article!). I had personally never been attacked by a large number of ants. At the time, I was at a local park where I kneeled down in the grass to take a picture of my son Olin. I suddenly felt many sharp pains. Looking down, I saw that I had placed one knee on top of an ant nest covered by grass. My knee and the surrounding area were dotted with about fifty painful bites that were now swelling. Ouch! I ran to the car where I applied Super Echinacea (kept in the glove compartment). Within minutes the bites were already less painful and the swelling was dissipating. By the time we got home, the bites were no longer visible, and I felt no more pain. What a relief! As noted, the key with ant (and other insect) bites and stings is speedy application of echinacea and a poultice when necessary. Back when Olin was two years old, he was stung by a single large, black harvester ant. The sting swelled hugely, but I wasn’t convinced it was terribly serious (after all, how much harm could one ant do?). I applied echinacea and gave him homeopathic remedies and Vitamin C, but I did not immediately apply a poultice (thinking it might not be needed). No doubt the echinacea gave him some relief. But the sting site continued swelling and his pain (and his crying) were unremitting until I finally applied a poultice. Lesson learned!! I’ve had three scorpion stings since living in southern Arizona. The first time, I was new to using echinacea and poultices for this purpose. So I took a little echinacea and waited until the next day to apply a poultice. The sting occurred on the joint of my left middle finger, so the venom became sequestered in a place with little blood flow. It took an entire month before the pain and numbness were completely gone! My second scorpion sting occurred on my ring finger the night before my wedding. How auspicious! This time, I flew into action, applying echinacea immediately and taking it orally, and getting a poultice onto the area within ten minutes. By wedding time the next day, I felt almost no pain, and there was no numbness or swelling. If I had not taken rapid action, my wedding ring might not have fit on my finger! Echinacea and drawing poultice saved the day! The third sting occurred last year when I stepped on a scorpion with my left foot. Dang! Well, at least I was fortunate to be indoors at the time, close to all kit ingredients. I applied echinacea (and took it by mouth) immediately and placed a poultice on the sting site all within just few minutes.This time, the pain was gone within 15 minutes! There was no numbness or swelling at all. Another cool fact is that these same practices work for snake bites. I’m not saying you shouldn’t seek ‘proper medical attention’ in the event you (or someone you know) receives a bite from a snake, particularly if the bite is deep or if the person is especially sensitive. However, if you’re hiking deep in a canyon where medical attention is not likely to be timely, using your kit just might save your life. I personally know of a case in which a 14-year-old boy was bitten in the leg by a rattlesnake. Neither he nor his parents previously knew about echinacea or poultices for bites. He was taken to the hospital, treated with anti-venom, and days later released. However, his swelling persisted, and his leg remained very swollen. It was not until his family followed a recommendation to apply a poultice and he took Vitamin C that the swelling in his leg abated. At the least, this shows that an emergency kit can be an effective adjunct to standard medical treatment for snakebite. If the poultice were applied earlier, his suffering could have been significantly lessened, and possibly his time in the hospital would have been reduced. I also know hikers who won’t go deep into the Grand Canyon (or any remote area) without their bite and sting kit. If there ever were an appropriate time to bring the kit, even just for peace of mind, then a trip away from civilization would be it! As I recall from my days as a Boy Scout, their motto was “Be Prepared.” For what? For anything. Since snake bites are something for which we can prepare, it just makes sense to bring your kit. Make an emergency kit for bites and stings. You may never need it. However, if or when a bite or sting occurs, you will be glad you have it ready and so will the people you help. In fact, make an extra kit or two for family members or friends who are hypersensitive to stings or bites, or who spend a lot of time outdoors (e.g., hiking in remote areas). This would make a great holiday gift for someone you love, and they will thank you for it. The time and costs involved are relatively small given the benefits you stand to gain. I personally find it very empowering to make tinctures and poultice powders that can sit ready in my kit, awaiting the day they will provide welcome relief from a sting or a bite. For more information, see our Insect / Bee / Snake Stings and Bites Suggested Activity & Supplement Schedule in the Health Recommendations Index on the HPDI website.